At the end of last year, one of our top 5 predictions for LTE in 2013 was ‘VoLTE: Only fools rush in’ as we saw a couple operators push back their VoLTE deployment plans. Over halfway through the year, it seems operators are still taking their time with the technology but voice services have certainly started to gain traction and the industry at large is solidly behind VoLTE. VoLTE has been filling up our news feeds recently; with Verizon revealing its plans to launch its first VoLTE handsets sometime this year and AT&T announcing its VoLTE service will go live in 2013. The technology is undoubtedly maturing but we’ve also seen a range of mixed messages such as ‘VoLTE is set to break out’ and ‘VoLTE off to a slow start’. Despite growing interest and investment in the technology, there is clearly still much uncertainty and many issues to be addressed. The demand for clarity and collaboration in the market is evident and the LTE Voice Summit on 1st-2nd October 2013 in London plans to provide just that, bringing together the greatest minds in voice services to realise the opportunities and manage the challenges of next generation voice offerings. Infonetics Research recently forecasted 12 commercial VoLTE networks and 8 million subscribers by the end of 2013. The forecast was spurred by the successes seen in the Asia Pacific with SK Telekom leading the way with 3.6 million VoLTE subscribers in April. Alex Jin-Sung Choi, Senior Vice President & Head of Technology Strategy of SK Telecom will be giving one of the opening keynotes on Day Two of LTE Voice Summit, speaking on ‘Ensuring VoLTE user experience in mobile networks with increasing traffic’ and sharing lessons learned from their VoLTE deployment . LG U+ will also be providing invaluable insight into the success seen in the Asian market, explaining ‘Why LG U+ rolled out VoLTE nationwide’. With about 75% of the forecasted 8 million VoLTE subscribers expected to come from the Asia Pacific, the region is setting the precedent and has stimulated global interest. LTE Voice Summit will be hosted in London and welcomes EE, currently the UK’s only 4G network, as ‘Official Host Operator’. Fotis Karonis, CTO of EE will be speaking at the event sharing the operator’s projections for 2014 and opportunities for Voice and VoLTE in the UK. The operator-led agenda will provide an update on the status of voice services across the globe with speakers from Deutsche Telekom, Three, Orange, Play Mobile, Bouygues Telecom, KPN, MTC Namibia and many more. While operators migrate from legacy voice services to VoLTE, internet-based voice services are becoming increasingly popular with global OTT mobile VoIP subscribers increasing by 550% in 2012, to over 640 million and expecting to reach 1 billion in 2013, according to Infonetics Research. Skype remains the dominant player however other applications such as Fring, Nimbuzz and Viber are increasing in popularity. Facing tough competition from OTT players, operators are hoping that VoLTE can be used in combination with HD Voice and RCS solutions to add more value to users. Joined by various app developers such as Friendcaller, Nimbuzz, Fring, GetJar and Forfone; a key discussion point at LTE Voice Summit will be how can operators compete/work alongside the disruptive players offering similar services? Featuring a keynote panel discussion ‘VoLTE vs OTT voice solutions’ and a Mobile App Showcase session, the event will bring together the full ecosystem to discuss and debate the most pivotal issues facing the market. As consensus around VoLTE builds and global operators gear up for their VoLTE deployments, now is the ideal time for the full ecosystem to come together to discuss strategies, share best practice and form fundamental business partnerships to take full advantage of all the benefits next generation voice services can bring. 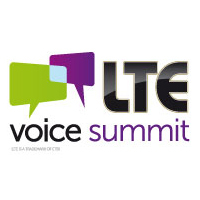 The LTE Voice Summit is taking place on the 1st-2nd October 2013 at the Hilton London Paddington, London, UK. To find out more information download the event brochure or visit the website here.